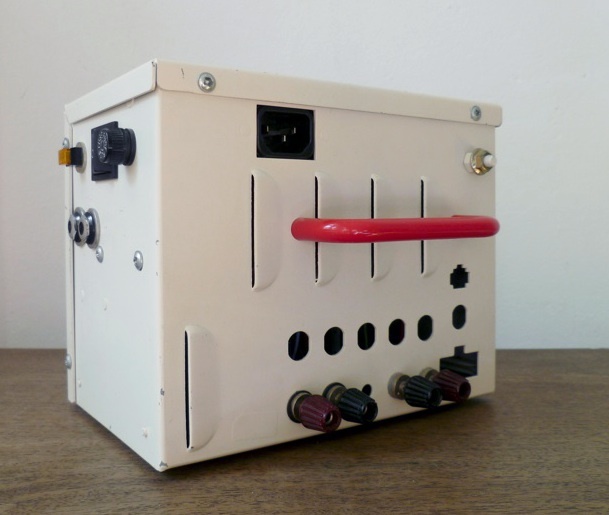 This case used to hold the power supply of an electronic gambling machine. It’s only 20x12x16cm but contains an amplifier that sounds much bigger. The Tripath TA2020 chip used here offers 15 watts of power per channel at 8 ohms and has an integrated preamplifier as well. The small button on the left is a standby function to prevent popping in the speakers when turning on the amplifier. 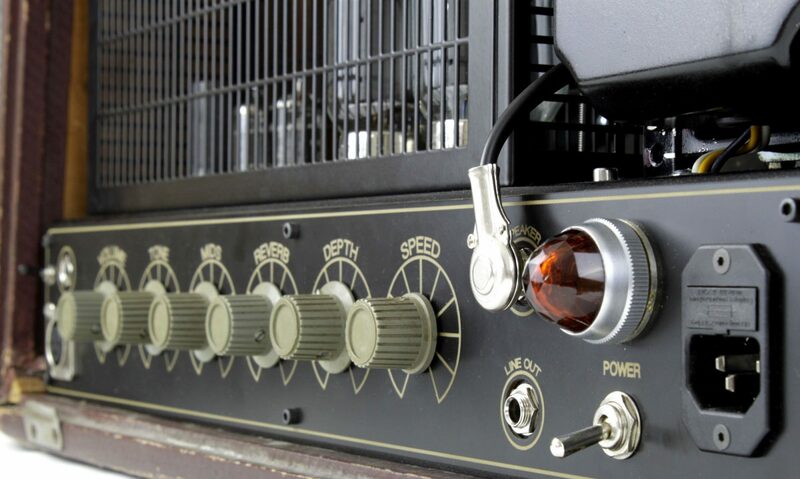 As it is such a low wattage amp, efficient speakers are a must. But that also means it really shines on the older, inexpensive hifi speakers that look nice and sound even better.